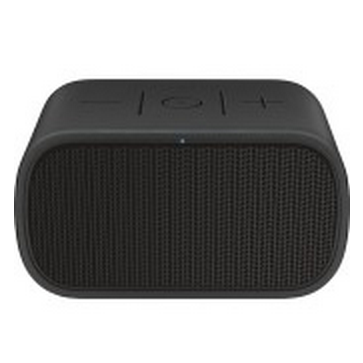 The Ultimate Ears MINI BOOM speaker is currently marked down to $50 as a Best Buy deal of the day. That's a 50% discount on what I would personally say is an awesome little portable Bluetooth speaker. Our very own Camerson Summerson would say the same, albeit in more detail. This deal undercuts the last Best Buy sale, which was just over a week ago, by $10. This time around, you can get the speaker in all black or with a red front grille, and you can pick up the green-on-purple Barney the Dinosaur edition at the same price. I mean, someone out there has to want this model, right? The UE MINI BOOM comes with a rechargeable battery and an NFC chip that lets you pair your device with a quick tap. There's also a dedicated Android app that you could use as well. It's not required, and I've never used it personally despite having had a MINI BOOM fill my home with music and podcasts for well over a year. You can get the speaker with free shipping or pick one up from your local store, assuming it's in stock.